FAR NORTH COAST BOUTIQUE BUILDER Del Casa Homes are the specialists in design and construction of new homes on difficult sites in the Far North Coast area. We are a tight knit family owned and operated business of carpenters and builders, combining more than 110 years experience. We uphold strong family values of trust, honesty and transparency. We pride ourselves on our reliability and attention to detail, to provide you with the highest quality home. Construction of all shapes and sizes from renovations to new homes, unit blocks or duplex construction as well as commercial builds, shop and restaurant fit outs. We are a local family business taking pride in quality carpentry and construction with an exceptional team of tradesman to ensure a quality job every time. We accommodate to every ones needs and budgets and are will to undertake home maintenance repairs, alterations and renovations, bathroom renovations and new outdoor spaces such as decks and carports. We also specialise in new custom built homes, duplexes and unit complexes. Toban Betts building is an innovative small locally owned building business. 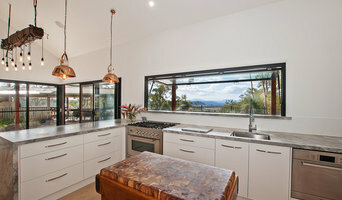 We tailor to the northern rivers community, specialising in construction and renovation of residential properties. Betts building was established by director Toban Betts who is a hands on HIA builder with a reputable building and carpentry background. Toban has over 23 Years experience in the building industry. Toban has incorporated environmentally friendly building practices for sustainable solutions. Betts building can assists its clients in every step of the building process, from the concept to completion, including design. 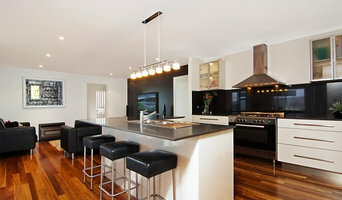 We use local licensed trades people with high standards of craftmanship. Building with BT is a Northern Rivers based construction company that prides itself on a high quality of work at all times. The director Brad Tucker who has over 23 years experience in the industry still maintains an on site presents to ensure all jobs are delivered to the highest quality and standards. Brad has worked in all areas of the industry including residential, industrial and commercial and over this time has expanded his knowledge enormously. Building with BT has built a solid foundation of consultants and contractors around them to give the client peace of mind in knowing that not only are all the staff at Building with BT giving 100% to the job but so is everyone else associated with the project. The company takes the approach that no matter how large or how small the project is every project has the same high level of importance and every client is just as important as the last. Ritz Homes is a family owned and operated building company established in 1994. Our emphasis is on traditional values with customer satisfaction the main priority. Ritz Homes has built a solid reputation by constantly striving to produce a high quality finish. Ritz Homes prides itself on exceeding client's expectations. Andrew has an old-fashioned approach when dealing with Clients and managing tradesman. He believes in a completely hands-on approach. Every stage of the construction process is still supervised by Andrew. Ritz Homes we can construct any size home, from the very basic single level home to extremely detailed multi-level dwellings. 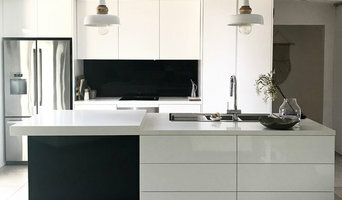 Home Renovations: AMG Built is a small Family business. We carry out small renovations to an exceptionally high quality. If you're looking to add that extension out the back, your existing floor plan doesn't work any more or if your bathroom is starting to look dated and small; with 18 years experence we can bring your job in on time and on budget. Joinery: AMG Built can design, manufacture and install your densigner kitchen, walk in robe or any custom joinery pieces throughout your home. DIY: AMG Built can also assist with small jobs around the house that may be difficult and costly for time poor homeowners. We can negotiate hourly/day rates or fixed prices. SJ Reynolds Constructions is an award winning family owned company based in the Northern Rivers region of NSW. Principal Sam Reynolds has more than 20 years experience in the Building and Construction Industry. Sam has an excellent eye for detail and he and his team pride themselves in the quality of their workmanship. Sam will work with the client from the beginning, ensuring that all details are covered right through to the end of the Project, making sure that his clients are always happy with the end product, Sam realises that there is always time constraints and budgets and ensures that these are adhered as to obtain the best outcome for all involved. All trades used are of the highest quality in order to achieve an exceptional outcome for every project. 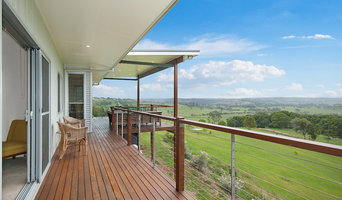 The team at Cypress Designer Homes have been building new homes across the northern rivers for more than 10 Years. Recognised as being one of the leading locally owned and operated builders in the Lismore Ballina Byron Bay areas. We have a passion for building custom and sometimes unique homes. We are equally happy to work with your plans or we can help you with a full custom design. Primarily we are custom home builders, but we also recognise that with a range of designer plans we can offer our clients outstanding value should they choose to build a new home from within our range. We have created a range of designer home plans specially for the northern rivers region, specifically to take advantage of the local lifestyle and climate. Our homes both designer and custom feature throughout new land estates predominantly in Lennox head, Ballina, Wollongbar and Goonellabah areas. We are a family company and have a true understanding of how to build family homes no matter what your stage of life may be. From first home builders to investors and downsizers we have built homes all across the northern rivers for local families. We love helping people achieve their goals whether that be a first home or helping an investor grow their portfolio. The core values of our company are integrity, value and professionalism and these values reflect in everything we do. When we choose suppliers and trades people to supply materials or complete work on our work sites we look very closely to ensure their ethics and values are aligned with ours. We aim to offer value through efficiency and the use of the latest technology while still opting for better quality materials, building methods and trades people that will offer a finer quality finish. We are proud to be regarded as a premium new home builder in the northern rivers and helping locals achieve their dreams. Winner of two MBA Excellence in Regional Building Awards - 2016. McKinnon Building specialises in building high quality architecturally designed homes, custom built homes, residential renovations and refurbishments on the NSW North Coast. McKinnon Building is a family owned and operated business based in Alstonville and we pride ourselves on providing a personalised and professional building and construction service. Building a new home should not be stressful and we aim to make your building experience as relaxing and enjoyable as possible. We understand that you want to make your home as individual as you are so with our personalised service, design expertise and years of experience, Morgan Homes is the right choice to build your new home from concept to completion. Morgan Homes is a custom design building company, which means homes are individually designed by taking into account the client's ideas, lifestyle, family requirements, the slope of the block of land and correct orientation of the home. Rod Sironen Constructions is a north coast builder of quality homes specializing in custom designs. Bring your architects plans or engage him at the design stage for sustainable, practical and beautiful building solutions. Whether you’re undergoing home renovations or building from scratch, hiring the right home builder is essential. Your choice will determine the quality of craftsmanship, as well as how high your stress levels rise! A home design or building project is a huge and multifaceted undertaking, so it’s important to find a local Bexhill, New South Wales builder you can trust to bring your vision to life and keep the process under control. The Houzz professional directory of home builders is a great starting point to choose the right builder for your needs. What exactly do Bexhill, New South Wales home builders do? Before any nails are hammered down, construction companies perform market research to determine whether the prospective site for a new home in Bexhill, New South Wales makes sense. They also survey the land to make sure it is suitable for construction, and obtain any necessary New South Wales permits. Scroll through this page to find contractors in Bexhill, New South Wales. Then, click on a professional to browse photos of their latest projects and see how their work compares to the scope of your project. Read reviews to see how other homeowners rate their work, and message the home builder or construction company directly to ask any specific questions.